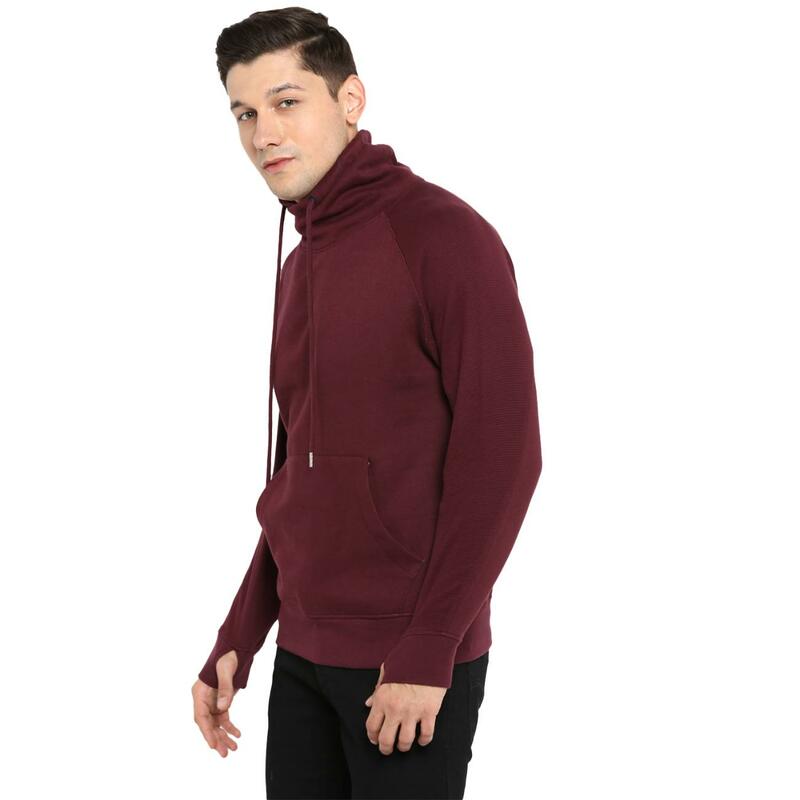 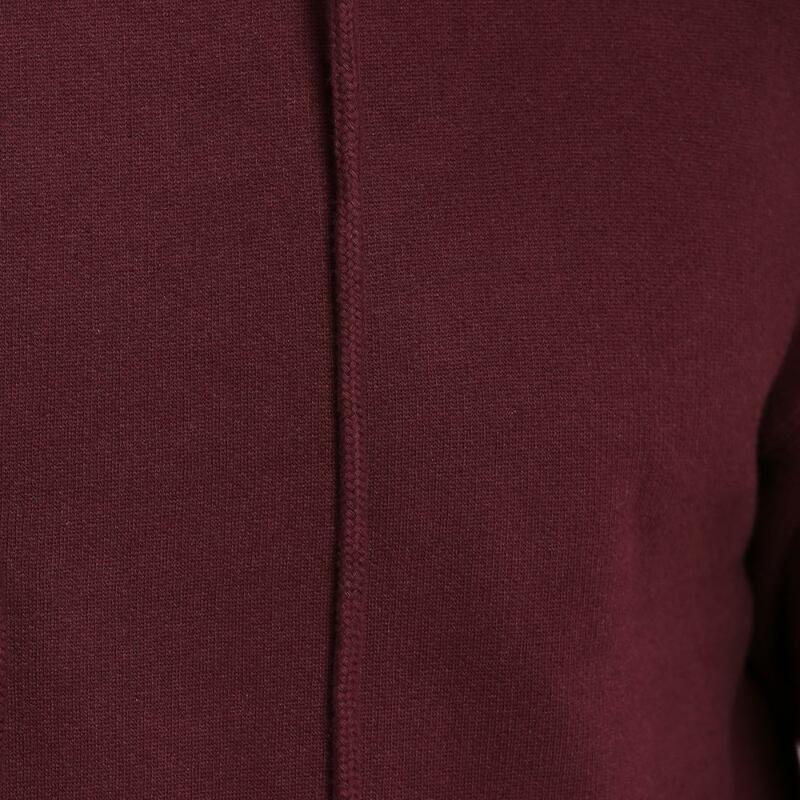 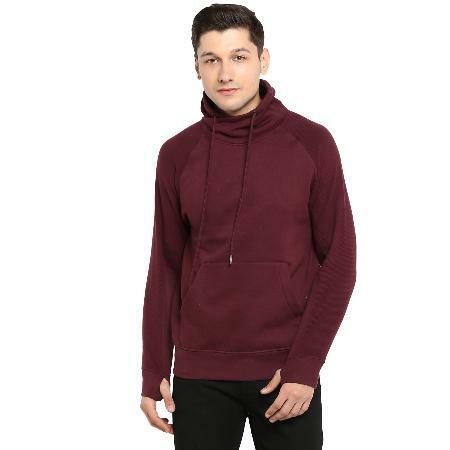 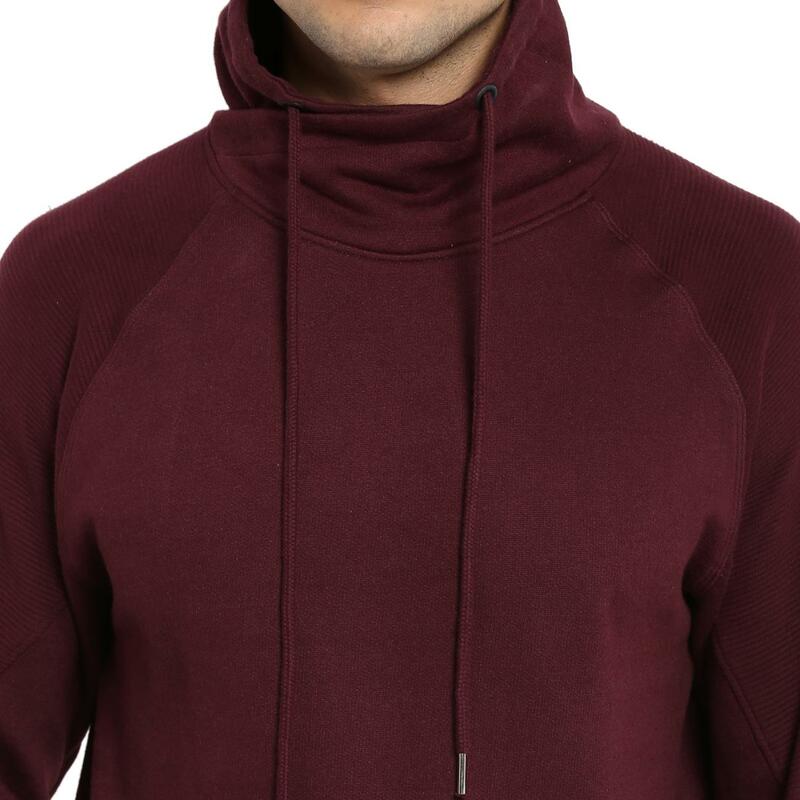 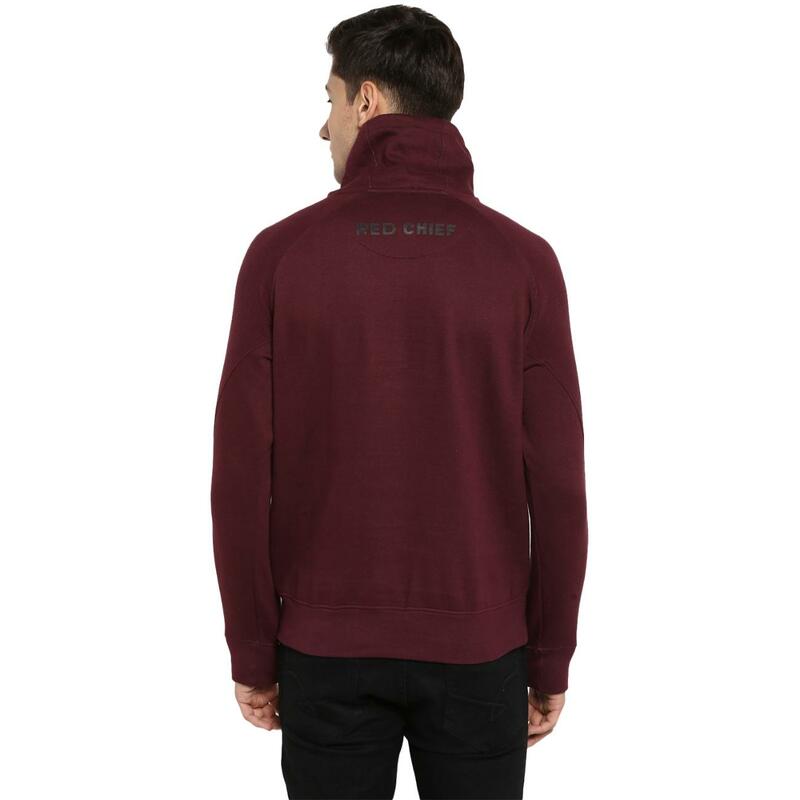 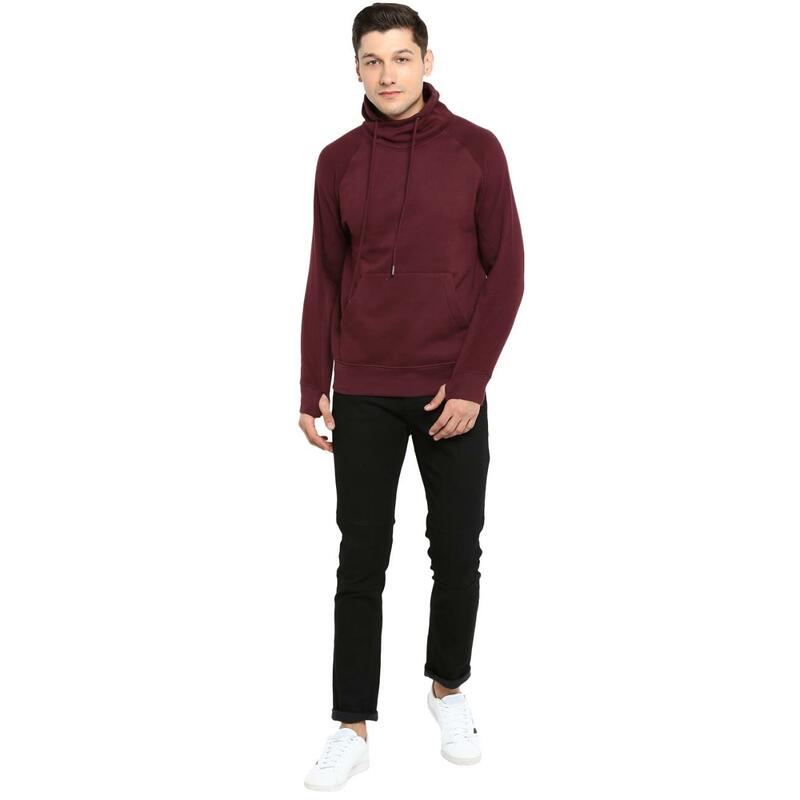 Paying homage to sporty style with an urbane twist, this wine coloured sweatshirt from Red Chief is designed with drawstrings-attached turtle neckline. 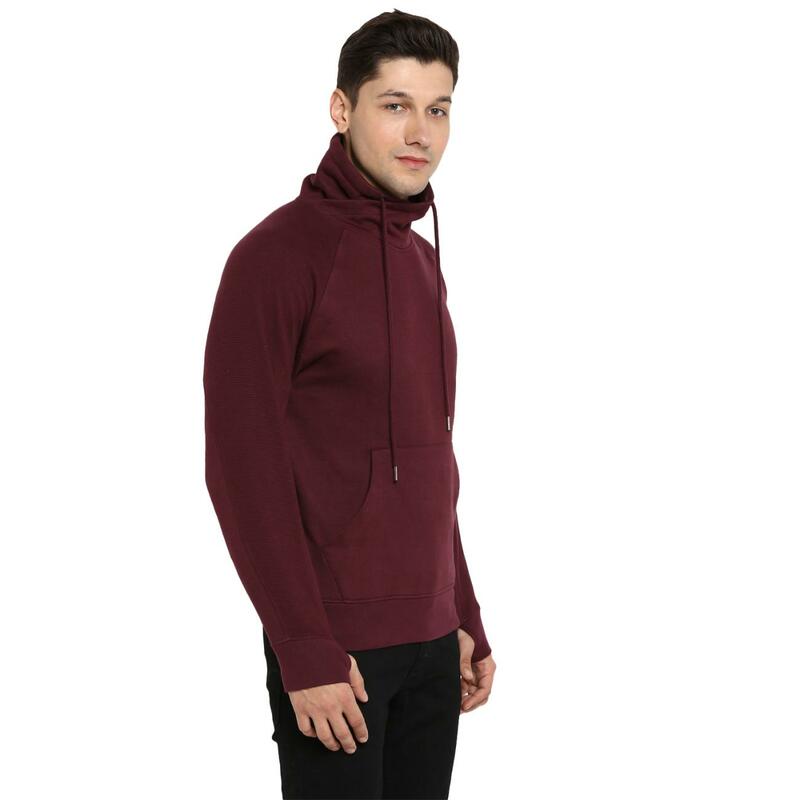 Also admired for its twin kangaroo pockets on sides, this sweatshirt also ensures endless wearing comfort, owing to its superior polycotton construction. 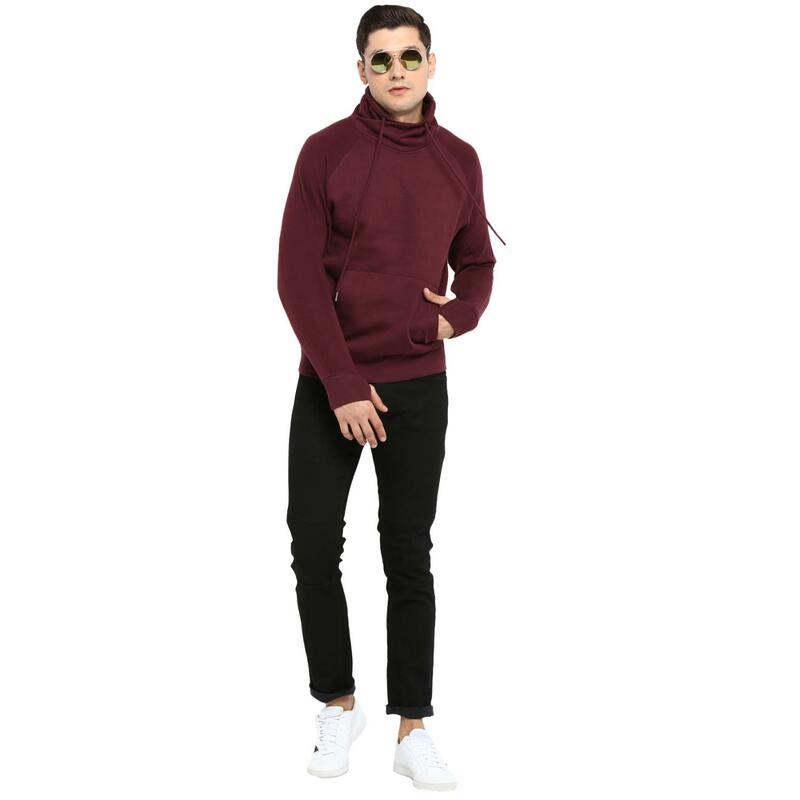 It will look smart with jeans and trendy shoes.